This is not just for water. Select from a pre-defined list or defined you own fluid. Networks are easy to set up. Start with a node and quickly drag out pipes to get the network structure you need. The program also allows auto balancing valves. Drag pipe fittings from a palette. 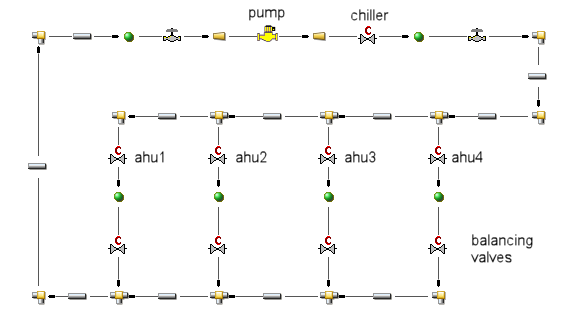 User defined items like air handlers and chillers can be added as custom pressure drops.